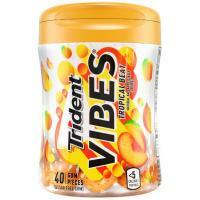 Trident Vibes is a burst of something new. Imagine the tropical remix of your favorite song. Now imagine that in your mouth.